That stress is something you do to yourself... one person's stress is another's motivation. Stress is like beauty... it's only in the mind of the beholder! How stress is automatically triggered in your brain, with cascading negative impact on your body and long-term health... if you continually allow yourself to be stressed, you're actively shortening your life. How to kiss your stress goodbye... really and truly! 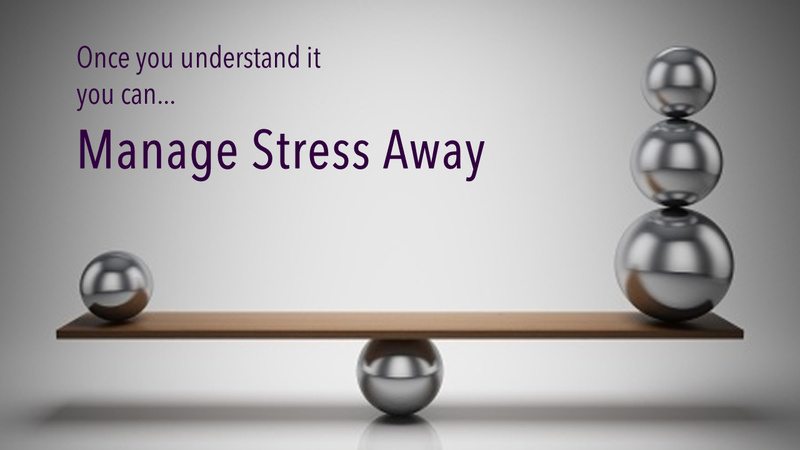 Because, once you understand how stress works, you can step in (only a baby step is required!) and stop it. Happiness - carefree living and success on your terms - is simply about focus: paying attention to the here and now - in other words, mindfulness... the exact opposite of the ordinary everyday mindlessness that automatically and inevitably leads to stress. But that's only the beginning. Once you realize that you can actually manage stress out of your life completely, you'll begin to understand that you can set your mind to achieve the kind of goals you really would like to achieve.